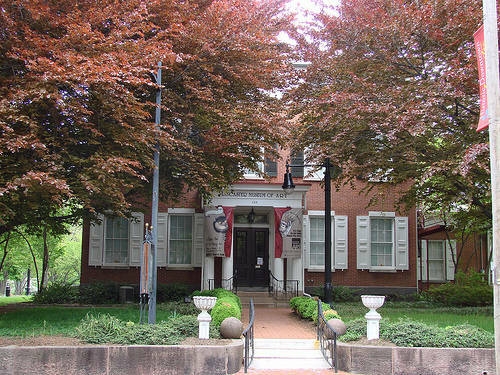 Lancaster County museums allow you to relive the history and traditions that make up such a large part of life in Pennsylvania Dutch Country. Do you cringe at the thought of visiting a museum during your visit? Don't. The museums in Pennsylvania Dutch country are not the slightest bit stuffy. In fact, they're fun for the entire family. The best of them allow you to immerse yourself into a completely different world and time period. They encourage you to imagine. Imagine that you are on an 18th Century Amish farm or among the stars in outer space. You can even imagine that you're in the abstract world of some of the most creative artists around. Maybe I'm exaggerating a bit but you would miss out on your experience if you shy away from these educational but FUN museums. Whether it's rainy and cold outside or not, it is alway warm and friendly inside. The museums of Lancaster County will recreate for you colorful stories of religious freedom, the growth of 19th Century railroad travel, the struggles of early American farm life, the development of Lancaster County society from the 1700's to the present. If you admire art, there are plenty of Lancaster County museums which exhibit the rich culture of the region. From the finest traditional Pennsylvania Dutch folk art to modern experimental work. From local artists to international masters. There are also first-rate museums showcasing subject matter as diverse as natural history and science; military history, Native American culture; and, the development of the newspaper. Most importantly, there are some really fun museums designed especially for the children. Please note that the days and hours of operation of the Lancaster County museums vary from season to season, so you might want to call ahead to make sure that any particular museum will be open when you're visiting. Ever wish you could take a nostalgic walk through small town America at the dawn of the 20th century? This Lancaster museum lets you do just that. 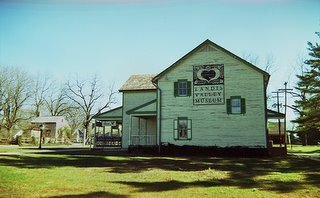 Exhibits include a barber shop, woodworking shop, tea parlor, print shop, millinery, toy store, blacksmith shop, tobacco shop, apothecary, wheelwright shop, and a country general store. Victorian carriage rides through Bird-in-Hand and surrounding farmlands are offered on select days during the season. Located in the Old City Hall and Masonic Lodge Hall, the museum focuses on the culture history of Lancaster County. The musuem displays 18th and 19th Century furniture, fraktur, quilts, pottery, and other folk art. The museum also has a prominent display of antique rifles as well. A varied collection of books, documents, and artifacts covering over 250 years of Lancaster County history. This is perhaps my favorite of all the Lancaster County museums. It's actually more of a historical village comprising 18 buildings with over 200,000 items. The museum is devoted to portraying how rural Pennsylvania Dutch life was like. As a visitor you will be privileged to witness authentic demonstrations on a variety of activities such as gunsmithing, blacksmithing, weaving, lace making, traditional Pennsylvania Dutch cooking and more. Most exciting are the many events held throughout the year such as the Pennsylvania German Christmas celebration known as the Days of Belsnichel; Harvest Days; and the Herb Faire which is the largest sale in Pennsylvania of rare, traditional plants and herbs. The Moravians, who settled Lititz in 1756, built the nearby church in 1787. The Lititz Moravian Archives Museum features documents from the Moravinan settlement’s early history. 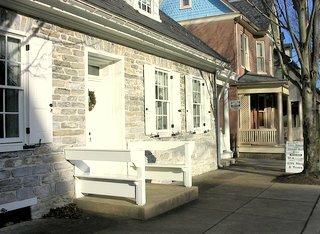 This museum, operated by the Lititz Historical Foundation, focuses on the unique history of Lititz with a special emphasis on the religious community of the Moravian Church. The museum also has a building renovated to the way it looked back in 1792. This "Newseum" provides valuable insight into over 200 years of history and development of the newspaper business. The self-guided series of exhibits features antique equipment used in the past to print and produce newspapers. There are also displays showing front page news items of important events in history. This Lancaster County museum carries all sorts of American military memorabilia from all periods of the country's history. Items include antique rifles, bayonets, swords, knives and much more. The museum features extensive collections and hands-on, minds-on exhibits focusing on natural history, science, geology, and archeology. You and your family can explore interactive exhibits showcasing subjects from outer space to local Native American peoples; from rocks and minerals to dinosaurs. The museum contains the largest planetarium in central Pennsylvania. Built in 1733, the Eicher Indian Museum (Sisters House) is considered to be the oldest structure in Ephrata. The Lancaster County museum displays authentic Native American artifacts from around the country. Artifacts include jewelry, dolls, baskets, ceremonial instruments and more. This Lancaster County museum showcases over a 100 historic maps ranging from the 15th to the 19th Century. The maps are both historically as well as aesthetically invaluable. The museum also holds rare map and book auctions throughout the year. Furthermore, the facility provides map consultation and appraisal services for map collectors. For more Lancaster County museums, see also the following. Please note that since the themes of the museums often overlap, some of the museums may be listed under more than one category.